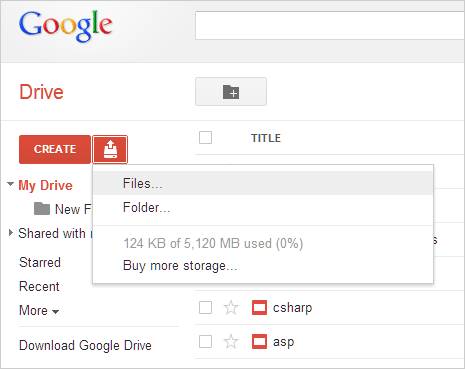 Google Drive offer free 5GB of online storage space which can be increased through monthly subscription. You can use this free online storage space to backup important files, photos and documents. Uploading and adding files to Google Drive storage is very simple routine and this can be achieved with straight forward copy-paste or file drag & drop action. 1. First make sure you download Google Drive software on your PC and then install & setup Google Drive properly to start using your free 5GB online file storage quota. Also, make sure you start & enable sync for automatic copy of files between your selected Google Drive folder on PC and online Google Drive storage space. 2. Right click to copy file that you want to add to Google Drive storage. Now right click on Google Drive icon on the system tray and then click ‘Open Google Drive folder’ option. 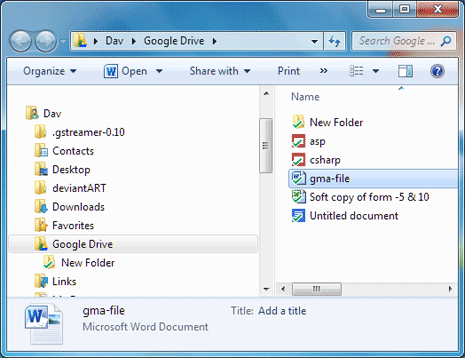 Paste the copied file in Google Drive folder on your PC. Same file will be automatically uploaded to your online Google Drive storage (provided internet connection is working on your PC). Besides copying, you can also drag and drop files into Google Drive folder on your PC for auto uploading of those files to online Google Drive storage. 3. Alternate method involves using direct Google Drive website for uploading files. Goto drive.google.com and login into your account. Then click upload button and then click File or Folder option. Select file that you want to upload and it should appear in your Google Drive dashboard once file uploading is complete. P.S. 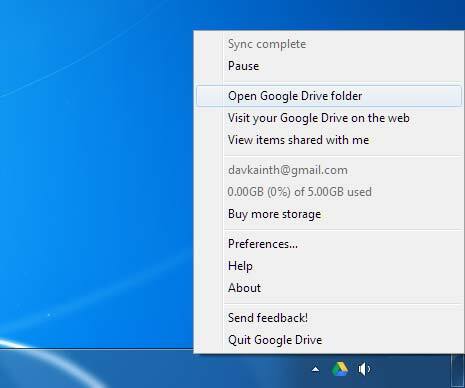 Same file(s) will appear in Google Drive folder on your (local) PC and in your online Google Drive storage space when sync features is enabled. So, contents of your online Google Drive storage and Google Drive folder on PC will be same all the time.